Harrison was fussy those first few weeks of life and wanted to held - all. the. time. the first few months; baby carriers resolved the issue and met both our needs. I could hold him and give him the closeness he wanted plus get things done. 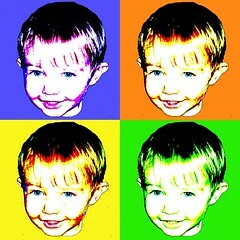 He is now a VERY confident, happy, outgoing four-year-old. I still use my Mei Tai occasionally because it works for both of us - he snuggles into my shoulders and relaxes and I can get someplace quickly and easily without a bulky stroller; like at over crowded concert at the park series in the summer. Our wearing days are almost done. Looking at him, I'd say that the carrier isn't the best thing you've EVER done.... I suspect that HE is. Nice work. I love wearing my baby! We haven't tried it on my back yet though. Cute pics! 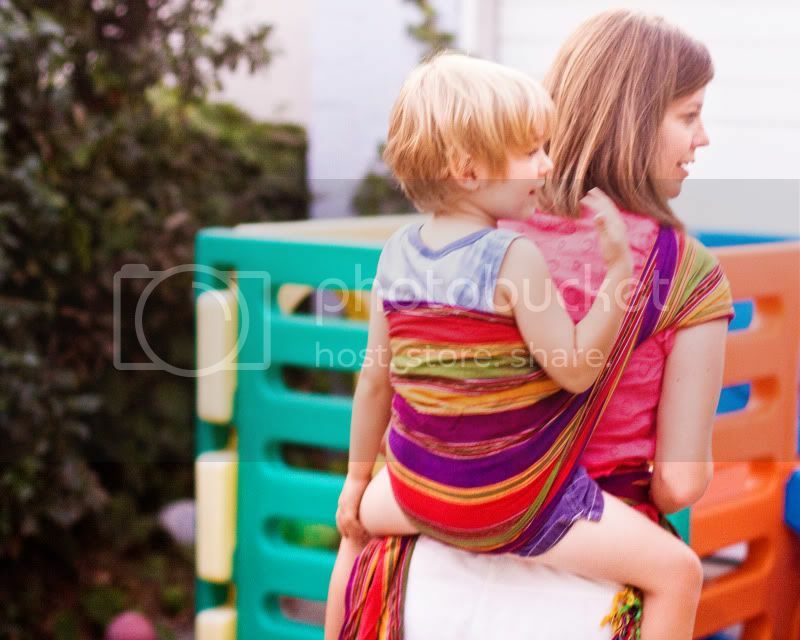 Three cheers for baby wearing. I haven't graduated to the piggyback style (or not yet), as my boy is in the put-me-down-so-I-can-RUN stage. But seeing you with yours is pretty motivating!